Special report: Depending on who you talk to high-rise buildings are either destroying the liveability of Australian cities or setting us up for the future. So how do we understand what level of density is okay? And how comfortable will we be as our cities accelerate expansion in a vertical rather than horizontal direction? City of Sydney became nervous last week when it appeared the new 19-hectare Waterloo Estate, which will have a total of 7000 dwellings, had projected densities of 376 dwellings or 700 people per hectare. The city voiced concern that this level of density would adversely impact amenity, and lead to insufficient open space, overshadowing, loss of tree canopy and the inability to meet apartment design standards. NSW land development agency Urban Growth’s chief executive David Pitchford was quick to reassure the city that those figures did not “reconcile with the design envelope and density levels”. He said density at Waterloo Estate would be similar to Green Square Town Centre, with the benefit of a Metro rail station, open space and community facilities. The 278-ha Green Square site has a town square of 17 ha with residential dwelling density at 4000 dwellings or 235 dwellings per ha. There’s growing concern in Sydney and Melbourne that developments are getting too dense. 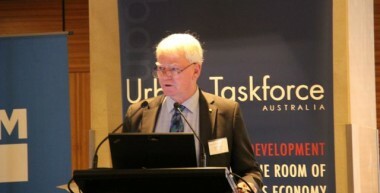 The Urban Taskforce has published a report based on Australian Bureau of Statistics figures showing that Sydney has 21 square kilometres with more than 8000 people a square sq km, and no other Australian city ranks at that level. “So Sydney, according to ABS data, seems to be well ahead in terms of greater densities and it’s not just right in the centre of the city – it includes places like Chatswood, Parramatta and areas like that,” Urban Taskforce chief executive Chris Johnson says. Johnson says the proximity of Frasers Property and Sekisui House’s Central Park development ion Sydney to Central Station, buses, universities and entertainment is the trade-off for its density. However, he notes that regardless of the concentration of residents, you need to look at the floor area ratio of an entire development when analysing density. The Urban Taskforce’s position is to increase densities around railway stations and in inner-city areas that are closer to jobs. The Metropolitan Development Plan shows that month-by-month about 70 per cent of approvals are for high density development – generally apartments – rather than lower density development. Patrick Fensham, principal and partner of SGS Economics and Planning, says acceptable density depends on the level of services, amenities and transport that are being provided at different densities, as well as the form of the development. However, he gives the example of terrace-housing in Paddington, which is the same density as Bondi Beach (three and four storey walk ups) and Bondi Junction (dominated by high-rise apartments with ground-level retailing). “There are three locations near each other, which actually look very different even though, roughly speaking, they have about the same number of people or dwellings. So there are different ways of doing it and it’s about really the feeling on the street, and the services and amenities that are likely to be provided. 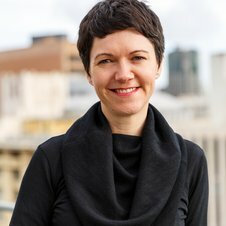 Churchill Fellow and former City of Melbourne employee Leanne Hodyl released a report last year that highlighted that high-rise apartment towers were being built to accommodate 6290 people per ha in one particular Melbourne CBD pocket – more than triple the maximum density that would be allowed in Vancouver (1290 people per ha) and more than double what would be permissible in New York (2560 people per ha) or Hong Kong (2620 people per ha). These figures certainly dwarf the 700 people per ha feared for Waterloo. The report found that weak, ineffective or non-existent policies enabled the approval of tower developments that were very tall, would squeeze out the space between buildings, and have little regard for the residents, the street and the value of the neighbouring properties. The Victorian Government responded, introducing interim planning controls in September last year to rein in high-rise development. The interim rules applied some height controls over a small area of the city (about a fifth) but for the bulk of the CBD and Southbank a plot ratio approach (also known as floor area ratio or floor space ratio) was applied. The plot ratio calculates the building yield based on the bulk of the building in relation to the lot size. Melbourne was assigned a plot ratio of 24:1 and then in April when the proposed amendment, Melbourne Planning Scheme Amendment C270 – Central City Built Form Review, was exhibited, this figure was tightened to 18:1. To give this context, Hodyl’s report found the building densities of recent high-rise developments had been 30:1 and even as high as 55:1. 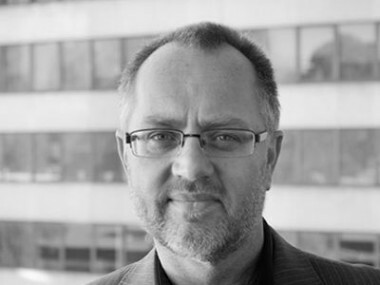 RMIT planning expert Michael Buxton says the new rules were not especially onerous. Hong Kong allows 9.9:1 (with a bonus for better environmental design outcomes), New York City has up to 12:1 (with bonuses for affordable housing or creation of a plaza), Singapore allows 14:1 with bonuses, while Sydney has 15.4:1 with bonuses. Unfortunately, the new rules do not mandate better quality design for apartments. So, unlike Sydney, there is no minimum size requirements, provisions for access to light for habitable rooms, or improved environmental performance. Ten thousand apartments are currently under construction. “There are really no mandatory design rules or environmental rules governing the performance of buildings,” Buxton says. 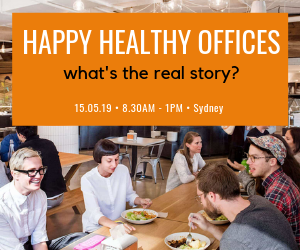 “And this is especially a problem because in the CBD buildings are being built according to the lowest standards in the Building Code of Australia and there are no energy-saving requirements or other environmental requirements. In another blow, when the Victorian government introduced the interim controls it exempted applications that had already been lodged. Permits for 18,000 apartments are in the pipeline. “This government introduced a savings clause, which allowed any application that had been lodged but not approved by the time the interim controls were introduced to be judged by the old rules, which were really no rules,” Buxton says. “There’s almost as many proposed high-rise buildings subject to applications and existing permits as recent approvals. “Because of the number of existing permits, in six, seven or eight years, Melbourne will see a whole raft of massive new towers going up under rules that applied eight years ago when the new rules were intended to stop that very type of construction. So the government has a time bomb on its hands basically. We will see all this construction occurring, which is totally undesirable and wouldn’t be permitted under the new system. One hundred new high-rise towers have been approved. Melbourne’s proposed amendment provides guidelines for developers to go higher if they provide 10 per cent for public benefits. For example, a developer in Flagstaff building seeking an extra 8000 square metres would need to provide $7000 a square metre in public benefits. Ten per cent x 8000 sq m x $7000/sq m = $5.6 million – therefore public benefits totalling $5.6 million. These could be social housing, publicly accessible open areas or closed spaces, a competitive design process or, curiously, commercial office space. “Instead of being forced to comply with mandatory minimum public benefit provisions in meeting very generous rules even under the new proposed system, developers are actually receiving a benefit from providing a return of some kind to the public,” Buxton says. According to Buxton, it’s a very generous incentive approach. Are super tall buildings desirable? To encourage the debate towards higher urban density, the Urban Taskforce pushes super tall buildings. Johnson says super tall buildings are warranted where land is expensive. “I particularly championed height rather than horizontal spread as a critical part of this and part of the mix needs to be quite tall buildings where land value is very high around railway stations and back to mid-level heights in other locations,” he says. While Sydney and Melbourne need a balance between different housing types, taller building are an important component, he says. Height provides outlook and stops people feeling hemmed in, Johnson says. 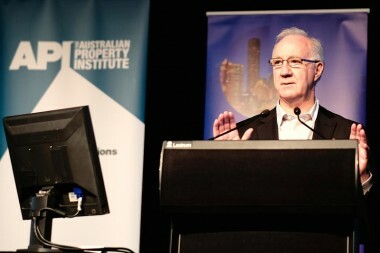 He gives the example of six-storey complexes in Rhodes and Homebush. “We can take a lot of parallels from other places. There are hyper-dense places which are awful and there are hyper-dense places that are okay, but we really need to understand those lessons and the history and culture of them. While Berlin has 65 dwellings a hectare in mid-rise development, other places fit 65 or 70 dwellings per ha into high-rise towers in open space. Fensham says we need to do a bit of “joined-up thinking” to integrate higher density living with social infrastructure planning, education planning and open space planning. “The reality is it’s a new frontier for Australia,” he says. “So we are not doing it very well. He says we are starting to learn some techniques around higher density schools and point to plans for a vertical school in South Melbourne designed by Hayball Architects as a good solution. Another challenge will be changing from the infill and intensification of old industrial land to the redevelopment of existing detached housing. “We’ll see it in the Sydenham to Bankstown corridor (Sydney) where existing detached housing is being rezoned for higher density, and retrofitting open space and community facilities into those environments is more challenging,” he says. While developers of old factory sites were agreeable to carving off a corner for a park or community centre, how do you convince landowners in existing streets to come to the party? Sydney is growing at about 1.5 per cent per year and, according to Johnson, that means we are going to have to double the number of homes in Sydney over the next 40 years. He encourages people to take a leaf out of Rachel Botsman’s Collaborative Consumption book and embrace the sharing culture. Instead of each house having its own swimming pool in the backyard, people share and have access to amenities. “So for every 100 apartments there may be a shared swimming pool for instance,” Johnson says. The tower blocks going up all over London – 460 of them in the pipeline – are not for Londoners. They’re mainly places for rich foreigners to park their cash. A new asset class. They’re empty most of the time, London is full of stories of owners not bothering to pick up their keys. You absolutely do not need to go ‘super-tall’ to get the density of London, most of which is 2-4 storey walk-up terrace houses and flats, in streets that are interesting and varied to walk or cycle along. 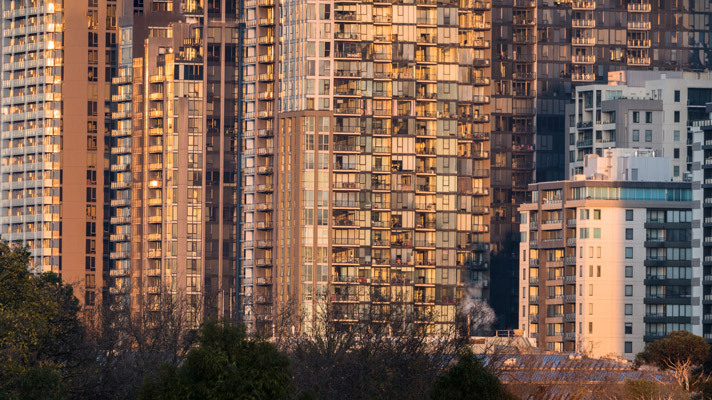 You just can’t get that with super-tall buildings, and you don’t even get the environmental benefits of density at those heights, since tall buildings use more energy per dwelling than medium rise. All towers do is make a few people very rich – a perfect urban form for the 1%.